"Be of good cheer. 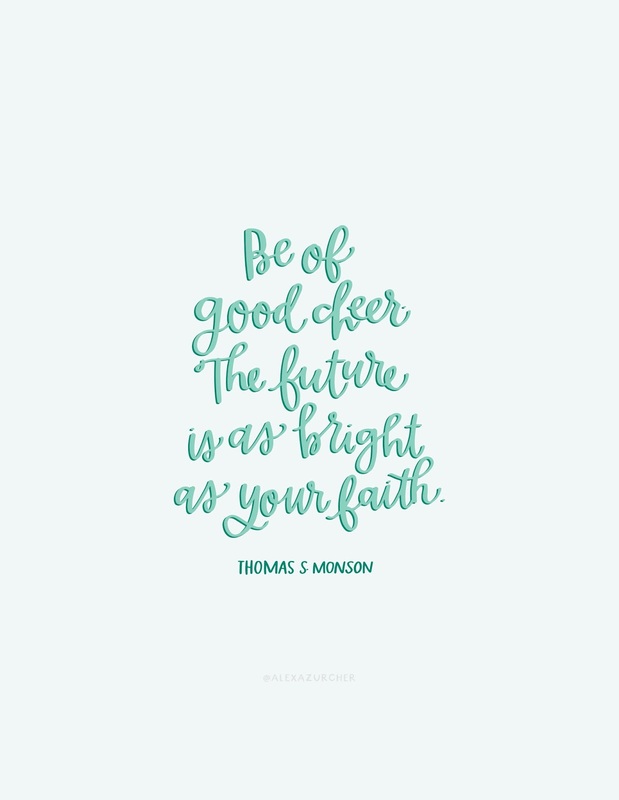 The future is as bright as your faith." Using your quotes for my YW lesson tomorrow. Thanks so much for sharing these cute, eye-catching prints. I hope to instill a love of the prophets in my YW!